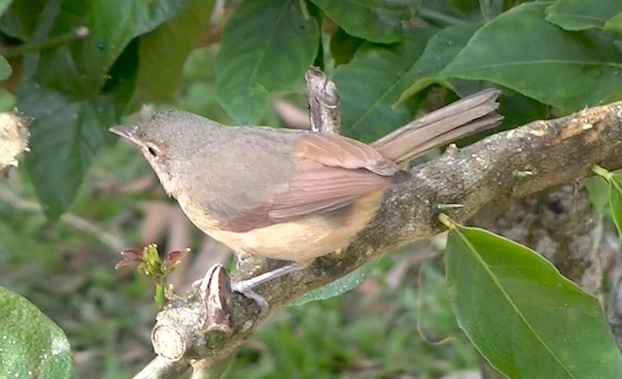 A common bird amongst vine thickets, monsoon and lowland rainforests and easily identified by its melodious song. It forages for insects in bark, epiphytes, debris entangled vine or ground litter, often crashing into foliage to disturb insects into view. Breeding September to February in a well hidden bowl shaped nest of twigs, bark strips and leaves bound with cobweb and vine tendrils lined with smaller dry material.